Immediate Liquidation - Quality Investment or Owner Occupier Dream! The Jared Johnson Lachlan Marshall Team are extremely proud to offer this investment or owner occupier opportunity. Two high quality units to be sold in one line. 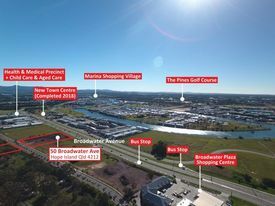 Strategically positioned 3 kilometres from the Gold Coast Highway 8 kilometres from both entry and exit points for the M1 Pacific Motorway. Watch the video for a virtual inspection. Our sellers are extremely motivated and have given very clear instructions to sell on or before Auction. For a detailed Information Memorandum please contact the exclusive listing agents Jared Johnson Lachlan Marshall for more details by clicking on the link above.